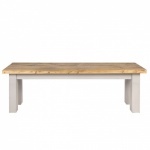 Below is a selection of our furniture made predominately from reclaimed pine. All our furniture is handmade in North Yorkshire and can be made to your specific size, and style. If you want a different look contact us and we can provide you with a quote. All our furniture is painted using Little Green Paints and you can specify any of their colours, colour cards available on request.